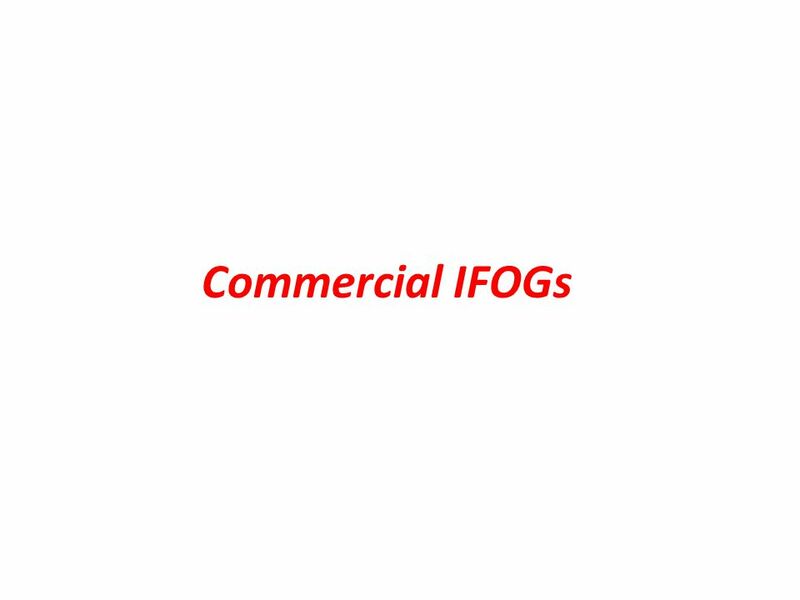 Electronic Circuit Polarizer SLED Splitter Splitter Sensor Coil Detector A/D AMP Driver DSP Phase Modulator Digital or Analog Signal Output A commercial IFOG consists of a electronic circuit with a lock-in amplifier and several optical components. 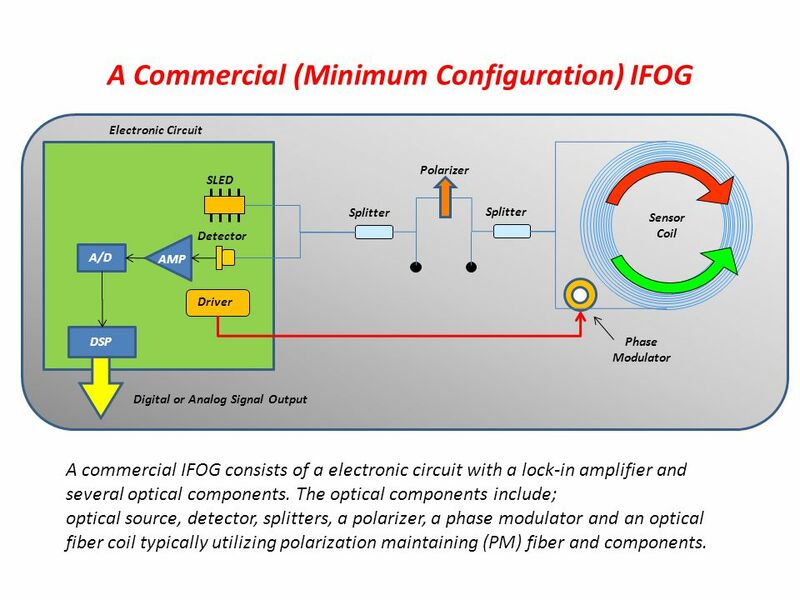 The optical components include; optical source, detector, splitters, a polarizer, a phase modulator and an optical fiber coil typically utilizing polarization maintaining (PM) fiber and components. 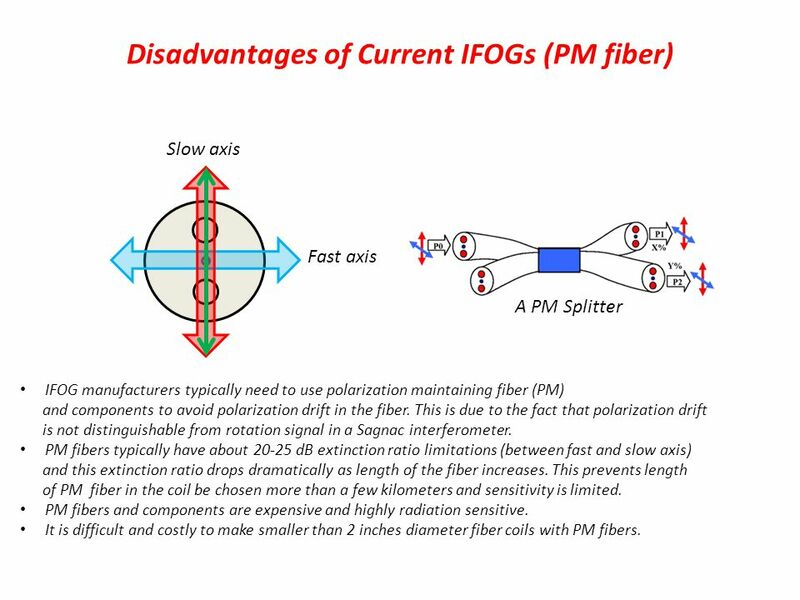 Slow axis Fast axis A PM Splitter IFOG manufacturers typically need to use polarization maintaining fiber (PM) and components to avoid polarization drift in the fiber. This is due to the fact that polarization drift is not distinguishable from rotation signal in a Sagnac interferometer. 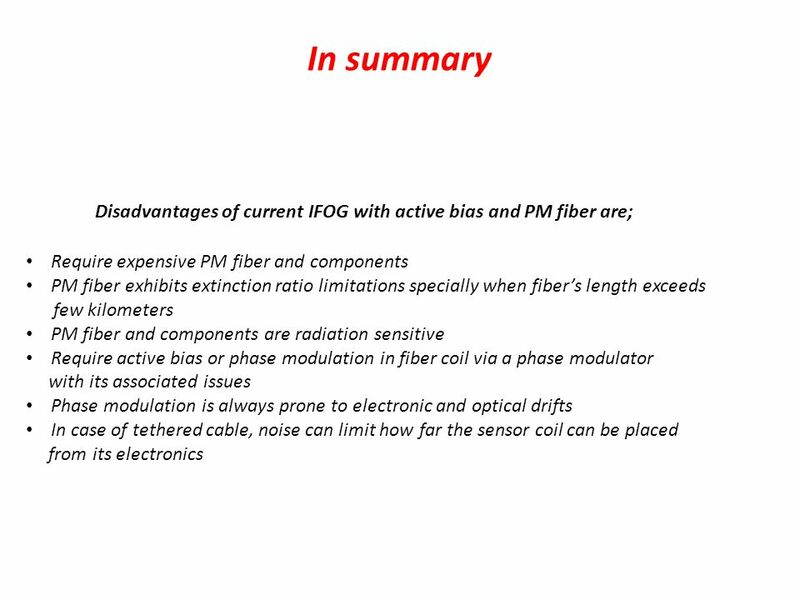 PM fibers typically have about dB extinction ratio limitations (between fast and slow axis) and this extinction ratio drops dramatically as length of the fiber increases. 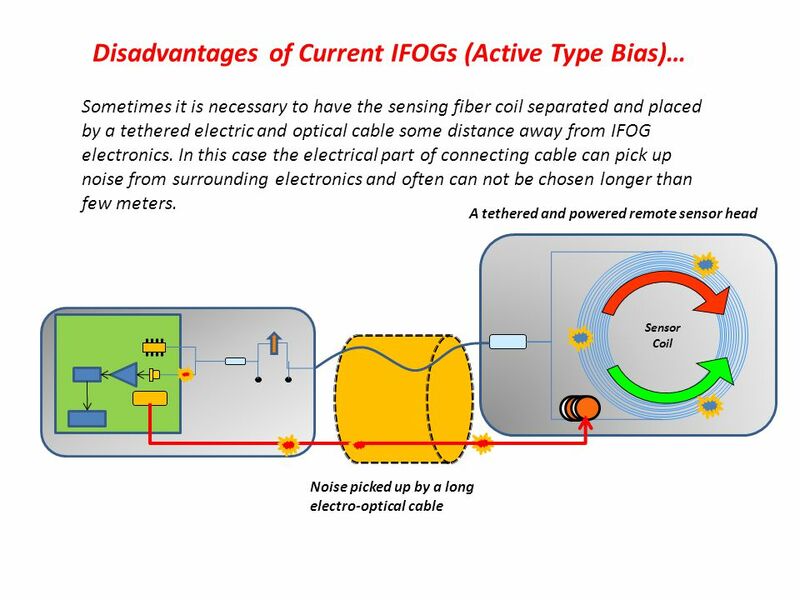 This prevents length of PM fiber in the coil be chosen more than a few kilometers and sensitivity is limited. PM fibers and components are expensive and highly radiation sensitive. It is difficult and costly to make smaller than 2 inches diameter fiber coils with PM fibers. 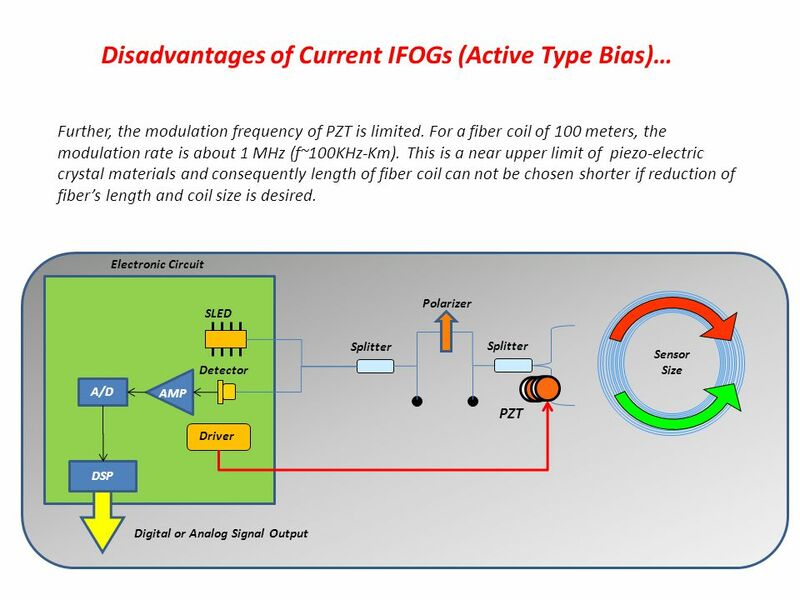 Guide to STM Amplifier Sensitivity. 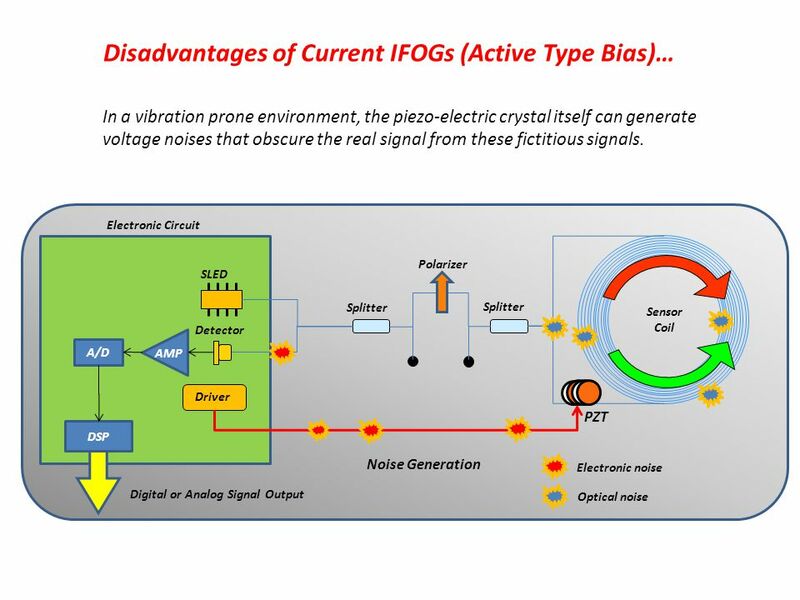 The pre-amp converts the tunnelling current to a voltage that is used by the feedback circuit. Pre-amp sensitivity. 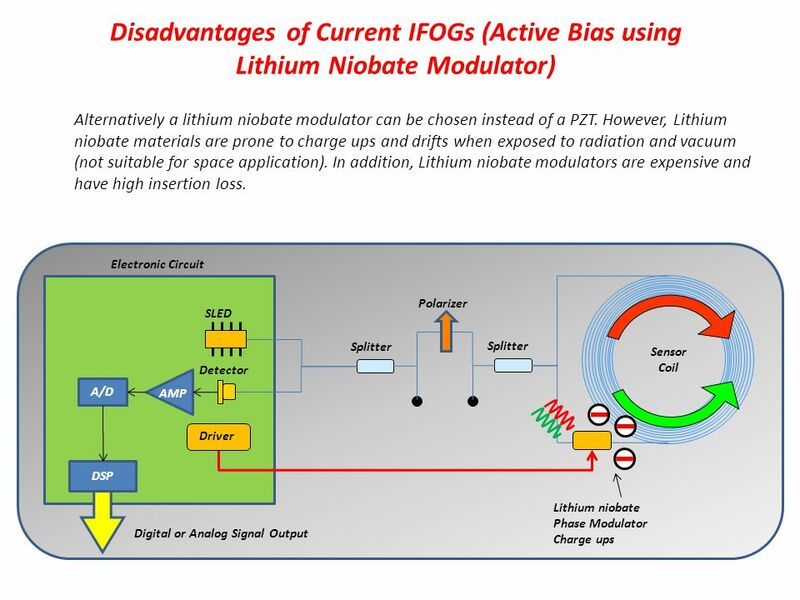 The New Passively Biased IFOG. 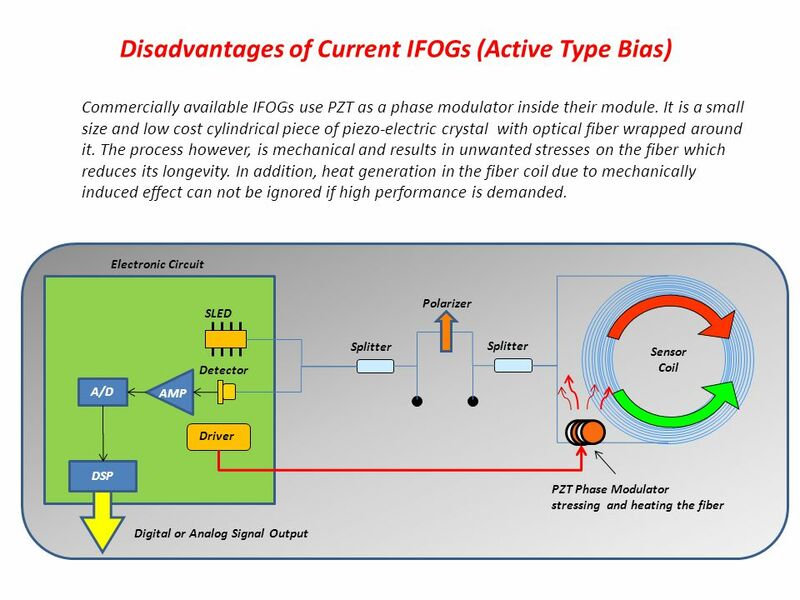 A New Approach to IFOG by TeraEx Eliminating the phase modulator and its driver electronics Utilizing an innovative technique. Present status of the laser system for KAGRA Univ. of Tokyo Mio Lab. Photon Science Center SUZUKI, Ken-ichiro. Speakers Read Yamaha manual pgs Read Yamaha manual pgs The cone, usually made of paper, plastic or metal, is attached on the wide end. Department of Electrical and Computer Engineering Advisor: Prof. Kelly Members: Matt Auby Steve Leblanc Joachim Weyl Mariah Winkler Virtual Rumble Strip. Long Fiber-Optic Perimeter Sensor: Intrusion Detection W. Tim Snider, Faculty Advisor: Dr. Christi K. Madsen Texas A&M Department of Electrical and Computer. PH4705/ET4305: Instrumentation Amp Our sensor will be connected to some kind of measurement system either directly, diag. 1, or as a bridge circuit diag. Scott Hanlon Next. Microphones Loudspeakers Amplifiers Mixing Consoles Signal Processors Software References Contents.